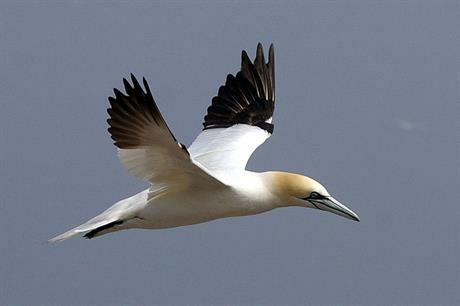 UK: Seabirds are less likely to collide with offshore wind turbines than previously thought, according to a new study. Six collisions were observed using video and radar monitoring at Vattenfall’s 300MW Thanet wind farm off the south-east coast of England between July 2014 and June 2016. The two-year study resulted in more than 600,000 videos being captured within a three-kilometre radius of the project, of which 12,131 contained evidence of bird activity. In these videos, only 15 instances of seabirds crossing a spinning rotor perpendicularly were observed, with six collisions being recorded. Therefore, "this indicates a high risk of collision by seabirds" when flying in close proximity to turbines, the authors of the report accompanying the study wrote. However, most birds were observed to adjust their flight path, by avoiding flying between the turbine rows, or flying parallel to the rotor, they added. The collision rate is "less than half of what is currently expected", according to the Offshore Renewables Joint Industry Programme (ORJIP), which commissioned the study. The study focused on five species of birds: northern gannets, black-legged kittiwakes and three species of large gulls. It is the first study to employ a multi-sensor monitoring system, combining human observer-based tracking with a system that automatically recorded seabird movements at an operational offshore wind farm. ORJIP comprises the Crown Estate, its Scottish counterpart, Marine Scotland, and offshore wind developers. It is also managed by the Carbon Trust. Piers Guy, UK country manager for Vattenfall, said the study was "a significant step forward in our understanding of the way in which seabirds avoid offshore wind turbines". Meanwhile, Aly McCluskie, senior conservation scientist at the Royal Society for the Protection of Birds (RSPB), which provided support and advice during the study, said: "There is currently much uncertainty in our understanding of how birds behave in the vicinity of wind farms. "The ORJIP bird collision project has collected an unprecedented amount of data on the behaviour of seabirds in and around an offshore wind farm. "These data and the project report form an excellent basis for future discussion and debate." The planning inspectorate must take into account the environmental impacts of offshore wind farm, as well as any mitigation measures proposed by a developer, when considering a project. Developers need to provide evidence of how seabirds behave within and around the project — normally through collision risk models used to estimate the impact. There has only been limited evidence to substantiate their actual behaviour, however. The ORJIP’s study will therefore allow better-informed wind farm design and consent decisions, the group claimed.